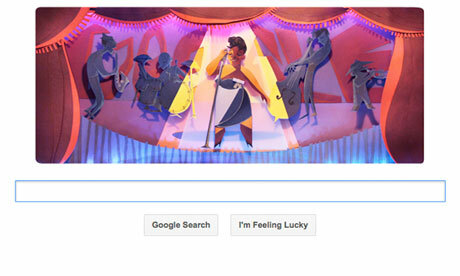 Ella Fitzgerald, whose great vocal range and perfect pitch won her the monikers 'the first lady of song' and 'the queen of jazz', has been commemorated in a Google doodle. Her rise to fame was spurred by regular guest appearances on several major US TV shows, including the Bing Crosby Show, the Frank Sinatra Show, the Ed Sullivan Show, the Tonight Show, the Nat King Cole Show, the Andy Willams Show and the Dean Martin Show. She gave her final concert at New York's Carnegie Hall in 1991.